9/28/18 California’s historic wildfires in 2018 may be a sign of more devastating summers ahead. The state’s wildfire season is starting earlier and lasting longer, by about 2 ½ months since in the 1970s. Fifteen of the 20 largest wildfires in California history have occurred since the year 2000. This increased fire occurrence is also costing Californians more in loss of life and property, health care for air quality-related illness, insurance rate increases, and impacts on forest-based businesses. 9/28/18 Every fall thousands of tourists stream into Apple Hill, the famed El Dorado County district, to celebrate the respite from Summer heat and welcome in the brisk air and falling leaves. Some come for the plethora of apples and apple products, some for the hay rides and some for the arts and crafts, but all added up, it equals 300% more traffic, which can cause a mile-long backup. 8/30/18 In the past few years as the state has faced historic drought and damaging wildfire, restoring the resiliency of our regional forests and watersheds has become increasingly important. At the regional level, the Tahoe-Central Sierra Initiative (TCSI) has championed the goal of improving the health and durability of our forest ecosystems and communities. On August 7, CAL FIRE announced $27.5 million investment in forest health projects. 8/30/18 A new report released this month highlights the hidden costs of deteriorated, congested, and unsafe roads and bridges for Sacramento metropolitan statistical area (El Dorado, Placer, Sacramento, and Yolo Counties) drivers. 8/30/18 The City of Elk Grove has approved $1.5 million for Startup Elk Grove, a program geared towards encouraging entrepreneurs, helping existing startups that are looking to grow, and building a base of incubator supporters such as co-working spaces. 8/30/18 Sacramento International Airport is set to be the future home of a ‘next generation’ electric vehicle charging station. These new type of charging stations are more akin to contemporary gas stations as opposed to the current model of EVs charging in a single parking space. The charging station will feature 10 new publicly accessible ultra-fast fee-based DC fast-chargers. The chargers are being built with the current standard power of 50 kilowatts as well as future ready 150kW and 350kW capabilities. 7/31/18 As the Sacramento region recovers from the recession and development increases, it’s increasingly important for us to grow smartly, and create vibrant communities in all parts of our region. Inclusive public spaces consider all modes of transportation and access in order to foster healthy and resilient communities. The Robert Wood Johnson Foundation, a leading national health philanthropy, recently partnered with the Gehl Institute to study healthy public spaces and develop a framework of four principles to guide decision making. 7/31/18 Sacramento Regional Transit (RT) has begun serving the Franklin Blvd. – South Sacramento area with SmaRT Ride on-demand transit. Notably, this service provides additional mobility for residents and visitors to this area, which has been without a bus line since 2008. The new service is expected to provide about 26,000 rides in its first year. Riders will be able to access the shuttle through an app-based ride hailing system, an online reservation or by phone. In the near future the shuttle buses will be 100 percent zero emission, made possible by funding though Electrify America. 7/31/18 The Sacramento region got a big boost in flood protection funding this month, receiving $1.8 billion in federal funds. The U.S. Army Corps of Engineers investment provides the final funding needed to complete multiple flood protection projects in the region, including levee work and raising the Folsom Dam. These projects, along with a separate levee project along the Natomas Basin, will provide Sacramento with a 300-year flood protection level. 7/31/18 A new innovative ridesharing program is being tested out by West Sacramento as part of a one-year pilot and is operated by Via. The service is a hybrid of traditional public transit and private transportation network companies such as Uber or Lyft. Anyone with the app can request rides within the city limits Monday – Friday 7 a.m. to 10 p.m. and Saturdays from 9 a.m. to 10 p.m. The U.S. Department of Treasury has certified 63 census tracts designated as Opportunity Zones in our region that will provide multiple areas for private investment in low-income communities. The Opportunity Zones program is a recently-established community development program created by Congress to encourage long-term investments in low-income urban and rural communities, as part of the Tax Cuts and Jobs Act of 2017. Newly passed measure will allow the City of Davis to annex the Nishi property from unincorporated Yolo County in order to develop the land. Measure J was approved by residents with approximately 60% of total votes. Current plans for the property, which is located immediately south of UC Davis between the railroad and I-80, include 700 student housing units, some retail, and dedicated open space. The proposed housing on the Nishi property would provide much needed housing in Davis’ very tight housing market. The Cities of Rancho Cordova and Roseville have been awarded a combined $1.88 million in funding from the State Department of Housing and Community Development for the Infill Infrastructure Grant Program (IIG), which is funded by Prop 1 – the Housing and Emergency Shelter Act of 2006. Rancho Cordova’s Mather Veterans Village (Phase III) will receive $624,551 and will be developed by Mercy Housing. The Village will include 50 supportive housing units for veterans. Roseville’s Main Street Plaza Apartments will receive $1,259,709 and are being developed by Meta Housing Corporation. The voters spoke June 5th and sent a strong message to protect valuable transportation dollars. Prop 69 prevents the Legislature from taking from or borrowing any new transportation revenues for non-transportation improvement purposes. It extends constitutional protections to all new vehicle fees and gasoline and diesel tax revenues generated by SB 1 that were not previously protected. This ensures that the revenues passed by the Legislature will be spent exclusively on transportation. SACOG’s Board of Directors took a support position on the Proposition. Have an innovative idea you want to test in the Sacramento region? Looking for a place to launch a tested and performance-based project? Want to help our region emit fewer emissions? Four new competitive grant programs are available this summer with over $12.5 million in available funding. The grants vary from temporary activations under $10,000 to large infrastructure projects and are available to partners across the region. 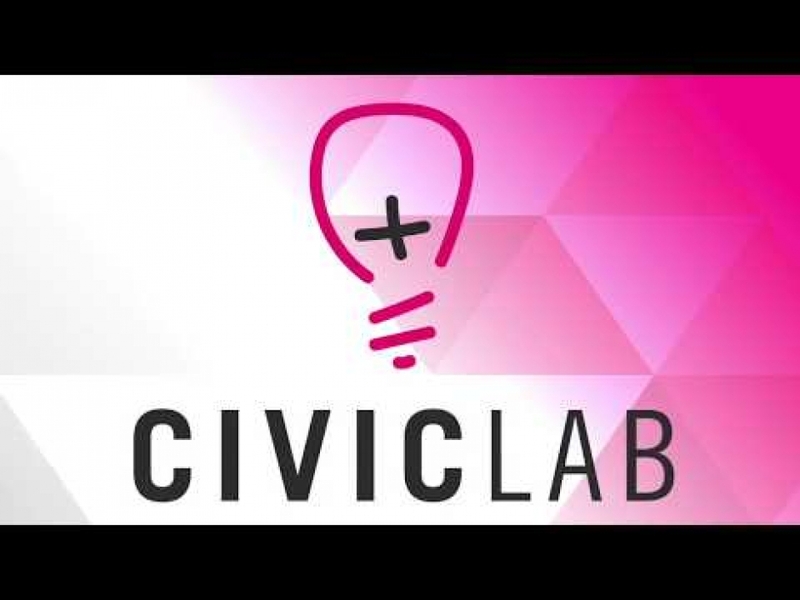 Civic Lab Year One brought together cross disciplinary teams to tackle challenging issues related to transportation and land use, and to pilot innovate solutions that can have local and regional impacts. Teams consisting of public agencies and the private sector partners came together to test and innovate on planning, programs, and policy. Their hard work paid off with the SACOG Board of Directors allocating $1 million in project funding. SACOG celebrated the completion of Year One with a reception and graduation on June 21, 2018. Looking for a traffic free, low cost, relaxing commute? Sacramento Regional Transit has you covered. Expanded evening light rail service is now available for Folsom. The late night service on SacRT Gold Line officially began June 17th. Light rail trains now serve Folsom until 11:30 p.m. Monday through Saturday, and 9:30 p.m. on Sunday. The California Transportation Commission voted this week to approve $2.7 billion in competitive funding to transportation projects across the state. The Commission approved all the SB 1 recommendations from April 25 , with only slight changes to project schedules. This means our region got all its recommended projects funded. Along with SB 1 funds approved by CalSTA, projects benefiting our region were awarded nearly $800 million. “Every student who is accepted into an internship program or hired through a program like 1,000 Strong or the Elk Grove Unified School District should have reliable transportation to their worksite,” notes a challenge statement from the Civic Lab team working to bring workforce transportation for youth and young adults. Now, with a three-year $400,000 award from the Sacramento Transportation Authority (STA), the North State Building Industry Association, Paratransit Inc., and Elk Grove Unified School District can make their project a reality.